Srinathji, form of Lord Krishna, is a Hindu deity. The icon of Shrinathji is specific as the deity symbolises that form of Krishna, when he lifted the Govardhan hill. 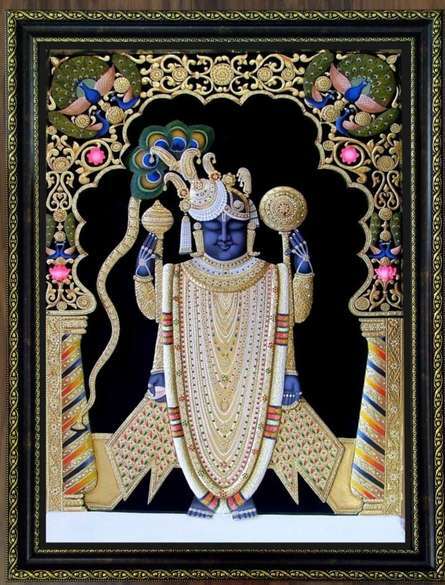 This Tanjore painting is handmade using traditional method.